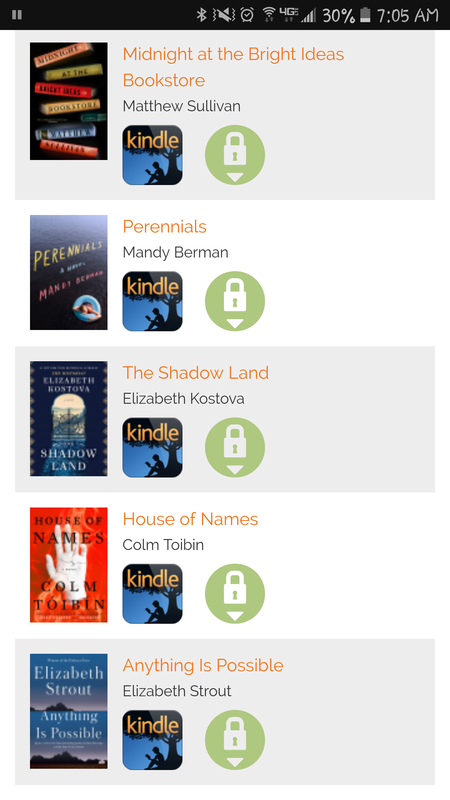 Here’s a quick preview of my Netgalley TBR! I’m am currently reading Book One of the Themis Files Sleeping Giants by Sylvain Neufeld in preparation to read and review Book Two Waking Gods. So far I am loving it! Have you read any of these? I’m looking forward to then immensely. Hopefully! I keep feeling confidant after I write some reviews so I request more books. It’s a never-ending cycle of playing catch up! I think being slightly behind the whole time helps to motivate me or something. I really enjoyed Sleeping Giants. Unfortunately my request for book 2 was rejected on Netgalley. Oh bummer! I loving the first one…I just started it yesterday and I’m over 2/3 of the way through! Yeah, it’s a really quick read, isn’t it? I was very disappointed for not getting the sequel 😦 Oh well. It is. Yes I know the feeling! I try to not get my hopes up when requesting but it is so hard sometimes when I find a book I know I’ll really enjoy. So true… I try not to let it affect me and think that I have plenty other great books waiting to be read but it’s not the same. And this was especially difficult because I don’t read much sci-fi these days and I feel the need to read different genres frequently so yeah, sucked! I wish I could keep my list small. It’s so hard! I’m reading the following, from bottom to top. Pachinko is amazing so far! Haha definitely makes me feel better! I go overboard sometimes. I had 26 on my shelf at once at one point! Trying to make sure I keep my numbers down but there’s just so much out there! So hard to choose which ones to request. Pachinko is fantastic. I’m about 25% in. It’s hard to compare it to anything, though, it’s somewhere between a classic and something else. Absolutely beautiful and easy to read. It is very hard to resist the urge to request more books. I’ve learned that when I get too overwhelmed I just stop reviewing so I’ve been pushing myself to only request about 4 books per month. I miss out on some good ones, I know but that just keeps me reading more reviews by others 😊 I will look for your review on Pachinko! Thank you! I’m looking forward to writing it though keeping my thoughts straight about it will be hard I think haha. I think I also need a touch of a break from reviewing or at least Netgalley books so I can catch up on the ones I already own. I have Midnight at the Bright Ideas Bookstore waiting to read also! I’ll probably get to it next week! I know I keep pushing it back because of the pub date but I’m too excited, lol! I just finished the Shadow Land (a review copy for the bookstore I work at) and I was pleasantly surprised by how much I liked it. Enjoy! I’m looking forward to it! Lucky you working at a bookstore.